People have long sought medications to relieve pain. The first such pain killers came from plants, and in fact, plants containing salicylate gave us one of the first pain medicines still available today over-the-counter. That medication, originally sold with the brand name Aspirin, led the way for many types of non-narcotic and non-prescription pain killer medicines. Acetylsalicylic acid, used from ancient times as salicylate from plants, classifies as a non-steroidal anti-inflammatory drug. By 1899, the German pharmaceutical company Bayer provided it as a powder to doctors, calling it Aspirin. Because it sold in so many countries without patent protection, the brand name of the drug became its generic name in the minds of most people. Aspirin has few side effects and works to reduce inflammation that causes pain, much the same way that other NSAIDs do. Doctors also recommend daily doses of it to help prevent heart attacks. Most pain relievers available without a prescription started as prescription medications, usually in significantly higher doses. Naproxen, introduced in 1976 as a prescription-only medicine, later found its way onto store shelves in lower doses. While still available at higher levels from physician orders, naproxen today lines the shelves next to all other over-the-counter medicines. Classified as an NSAID, this drug does produce some common and serious side effects in some people. For example, a naproxen user may experience shortness of breath and other breathing problems as well as chest pain and headaches that require medical aid. 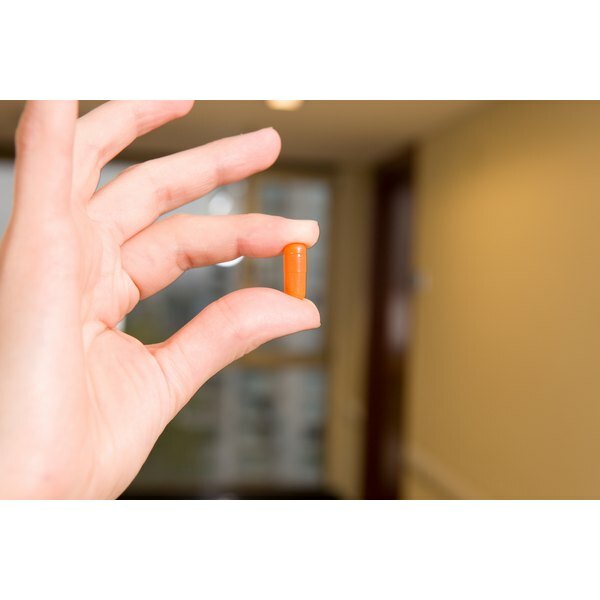 Like all NSAIDs, ibuprofen primarily treats pain caused by inflammation, such as that experienced with osteoarthritis and rheumatoid arthritis. However, many people buy it over-the-counter for all types of pain. Ibuprofen--and other NSAIDs -- can help decrease body temperature increases caused by fevers. It can induce the most number of more common side effects of any non-prescription NSAID, such as breathing problems, urination difficulties, a rash, vomiting, diarrhea and many others that require medical aid immediately. The most common pain reliever sold over the counter that does not classify as an NSAID works as an analgesic in the central nervous system. This directly deadens pain in the body and also can reduce fevers. Taking more than the recommended amount of acetaminophen can cause some serious medical problems such as nausea, diarrhea and swelling, but no serious side effects occur commonly when taking the medicine.